Economic impact or contribution assessments utilise input-output analysis or the computable general equilibrium model in assessing the extent of benefits to business, industry or other economic activity that are generated or supported by a project or policy change. 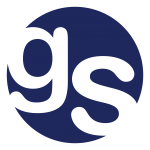 gsc understands the techniques, constraints and data requirements needed to undertake an economic contribution study that is accepted by governments and that does not overstate the economic benefits of policy or investment decisions. Consultants at gsc have experience conducting economic contribution assessments on the development of industries, such as the airports and aviation industry, and for cultural and sporting events, such as the 2006/07 Ashes cricket test series and the Australian Casinos Association. gsc provided analytical assessment of the cost of operating the NSW branchline network and the feasibility of sustaining the network based on alternative transport options and returns to track providers. gsc undertook a study into the economic impact of Sydney Airport on the NSW economy in terms of employment and GSP. Particular focus was placed on the impact of growing passenger levels on economic growth.